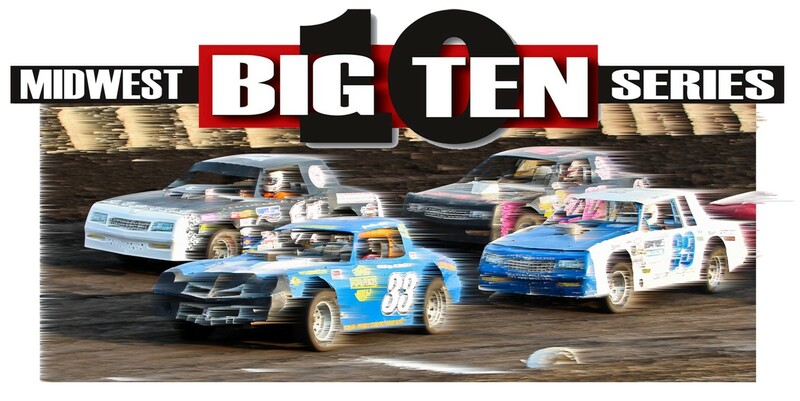 MACON, Ill. – The final night of Midwest Big Ten Series Street Stocks will bring some fireworks to an already competitive class Saturday at legendary Macon Speedway. With the $1,000 prize for the season championship up for grabs, the $500 to win feature race, a dash for cash, some trophies on the line and qualifying for the dirt stock cars, it will be a Street Stock summer night on Labor Day weekend during the Griz FM 98.1 Fan Appreciation Night. Bobby Beiler, of Blue Mound, and Terry Reed, of Decatur, provided us with some of the most thrilling racing of the season in a season-long battle that’s going down to the wire. The two-man race for the championship has taken us to Jacksonville (Ill.) Speedway, Lincoln (Ill.) Speedway and the Christian County Fair in Taylorville (Ill.) before the door-to-door spectacle finishes the tour on the famed high banked fifth-mile dirt oval. Beiler and Reed are old friends and treat each other with respect on the track, but that level of cooperation could get tested with so much on the line. The top eight finishes in the 10 races count toward a driver’s point total. The season-long point fund totals $3,000, and the payout reaches all the way down to 10th place, so there’s plenty left to be decided in the 25-lap feature. Macon Speedway will also qualify the cars for the heat races, so drivers get a chance to cut some fast laps to see if they have the talent and determination to post the best time among what’s expected to be a large field. A dash for cash will also be held. Billingsley Towing Modifieds, Sportsman, Outlaw Hornets, Stock Hornets and Beach House Mini-Sprints will also race. Gates open at 5 p.m. with racing at 7. It’s also Bud Light Ladies Night presented by Y103, as the ladies from Pop’s Place hop into 4-cylinder Hornets in an effort to advance to the Bud Light Ladies Night finals in September. Michelle Perry, Karey Keller, Genny Hinton, Christine Vogel and Stephanie Keenan will attempt to join Jenny Cramer and Dana Damery of Rocco’s, Dawn Reynolds and Holly Vinson of Starship Billiards and Laurel Phipps and Brianna Livingston of Woody’s in the Bud Light Ladies Night Championship on Sept. 13. Ladies receive half price admission. So with that many women heading to Macon Speedway, it’s a great time for the guys to make sure they get here and grab some Buds. Head to another state fair when USAC-ARCA team up for another doubleheader as the Ted Horn 100 for USAC Silver Crown cars runs Aug. 31 under the lights at the DuQuoin State Fair before the Southern Illinois 100 for ARCA stock cars entertains race fans on Labor Day. The USAC Tony Bettenhausen 100 for Silver Crown cars has been rescheduled for Sept. 7 at the Illinois State Fairgrounds. Tickets for the racing at both state fairgrounds are available by calling Track Enterprises at 217-764-3200.